COP 21 opened on Monday amidst dispassionate calls for setting an agenda that will curb greenhouse gases to avoid rise in global temperatures beyond 2° Celsius. As 147 heads of states were entering the Le Bourget convention centre to speak at the annual climate change conference, the Prince of Wales, Prince Charles, one of the first to speak, appealed to the world leaders to act against climate change. “Have we reached a collective inertia?” the Prince questioned at the pace of the climate change negotiations, which have dramatically slowed down since COP 15 in Copenhagen six years ago. “Deliberations here would decide the future of generations still unborn, secure life is a distant prospect,” he pleaded. French President François Hollande said the agreement that would come out of the conference would be universal, and at the same time differentiated and binding. “Developed countries must take the lead and developing countries must be supported in adapting. Hence, the need to finance climate actions,” Hollande added. The $ 100 billion must be freed up and there should be clarification about its sources and origin, Hollande said about the long-term climate fund that developed countries will give to developing countries to cope up with global warming. At COP 15 in Copenhagen, the EU, the US and the BASIC countries (Brazil, South Africa, India, China) tried to force an agreement without consulting rest of the developing countries. UN Secretary General Ban Ki Moon said the agreement should be dynamic and must be able to adapt to the changes required. Christiana Figures, Secretary General of UNFCCC, urged that nations should come together collectively to solve the global warming problem. “Paris must be where the world unites, where we can collectively work towards collective security, she said. COP 21 will try and galvanise a post-2020 climate deal, which will try to limit global temperature rise to below 2° Celsius from pre-industrial levels. So far, almost all the countries in the world have made pledges to cut down emissions, but experts fear that these pledges will not help the cause with temperatures expected to rise higher than what scientist consider as safe. Who are the top greenhouse gas emitters? 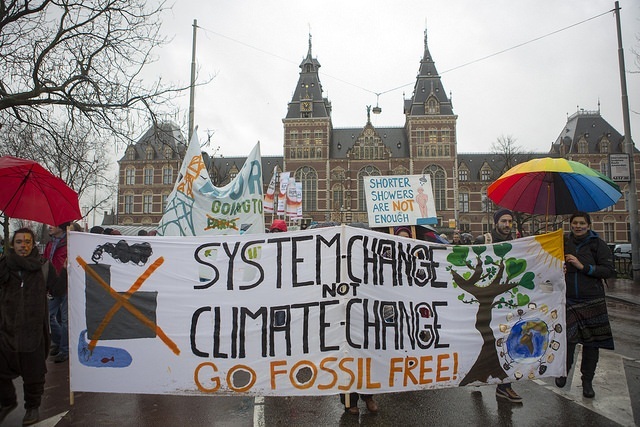 Are the INDCs submitted by the US ambitious enough?